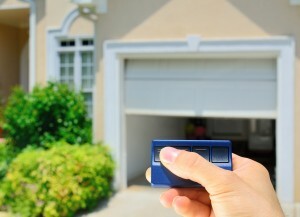 How long should you expect a garage door to last you after installation? The answer to that question depends a lot on how much care you lavish upon it. A great many homeowners with garages tend to forget about their garage door once it’s in place and only pay it any mind when it starts to get noisy, refuses to open and close smoothly or when something breaks. With just a little care and attention though, you can maximize the life of your garage door and 20 years is certainly not an unrealistic lifespan. However some of the key hardware components will certainly need replacing in this time. How Long Should Garage Door Hardware Last? Checking the balance of the door is, of course, particularly important if it’s equipped with an automatic opener. Automatic openers are only designed to guide a balanced door up and down. If your door is out of balance because of fatigued springs, the opener has to work hard to physically take the weight of the door and “pull” it open. This will seriously shorten the life of your automatic opener. Your door springs will probably need replacing once during a ten-year period, even if no other parts require replacement. The second time you need to replace the springs, which will hopefully be after ten years have passed, you should also replace the bearings and the rollers as a matter of routine. Ideally, rather than waiting for the second spring change, you should check the end bearings every two to three years. A visual inspection will suffice. All you need to do is look on the outside of the door tracks where the end of the torsion tube sticks out from the end bearings. If the ends of the tube are covered with greasy black smudges, it means the bearings will have lost some of their lubrication. Another way to check is to climb up on a step ladder and check the horizontal part of the tracks just under the end bearings. If you see any metal shavings that have collected there, you know for sure that the end bearings need to be replaced. To close this post, here are a few words of caution. If you do identify that the end bearings of your garage door need replacement, do NOT try to work on them yourself. This is definitely a job for your local garage door repair service. If you carry out the simple checks and tasks described here and get your bearings and springs replaced when necessary, your garage door should be good for 20 years, if not even longer. This entry was posted in Blog and tagged garage door, garage door lifespan. Bookmark the permalink.